Customize for the perfect, professional look! 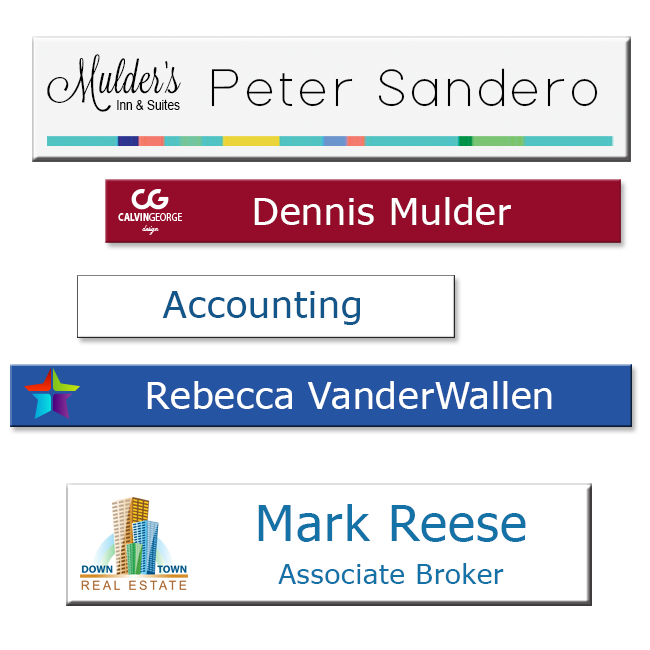 Metal Nameplates with full color designs. Choose from a variety of material, sizes, colors, and fonts. 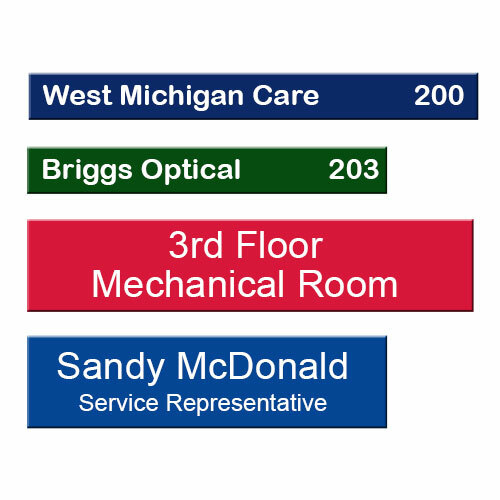 ADA compliant nameplates now available. 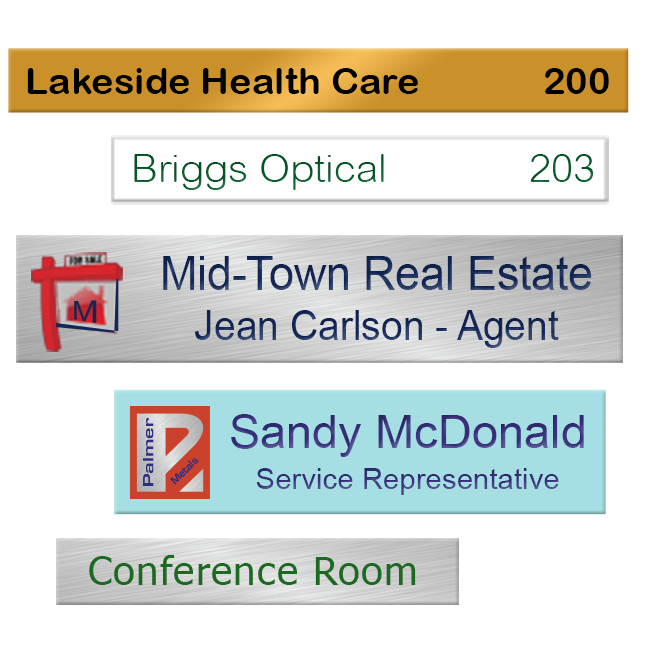 Plastic Nameplates with full color designs. Choose from a variety of material, sizes, colors, and fonts. 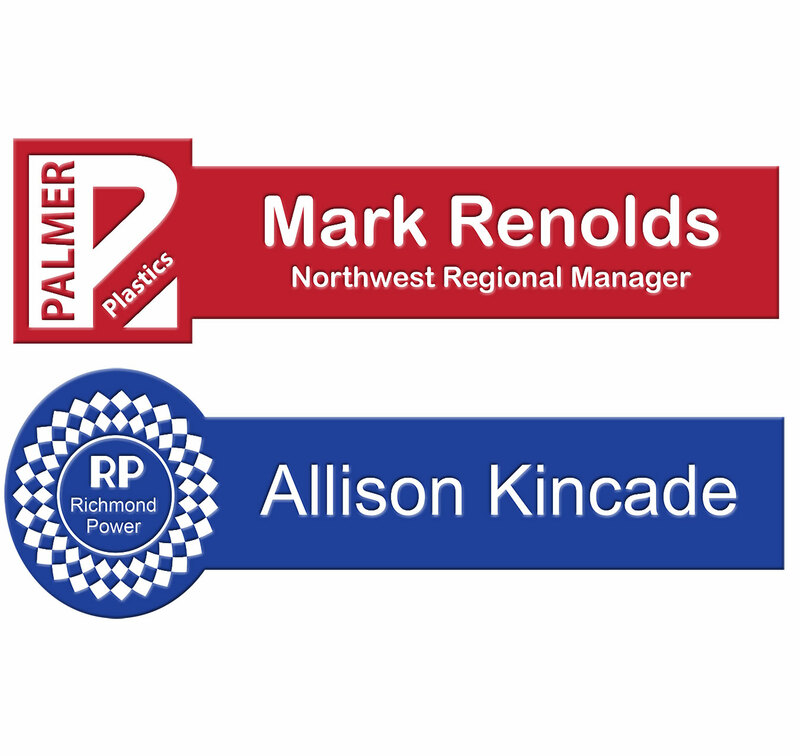 ADA compliant nameplates now available. Thick plastic nameplates engraved with names and titles. Available in many colors and sizes. ADA compliant nameplates now available. 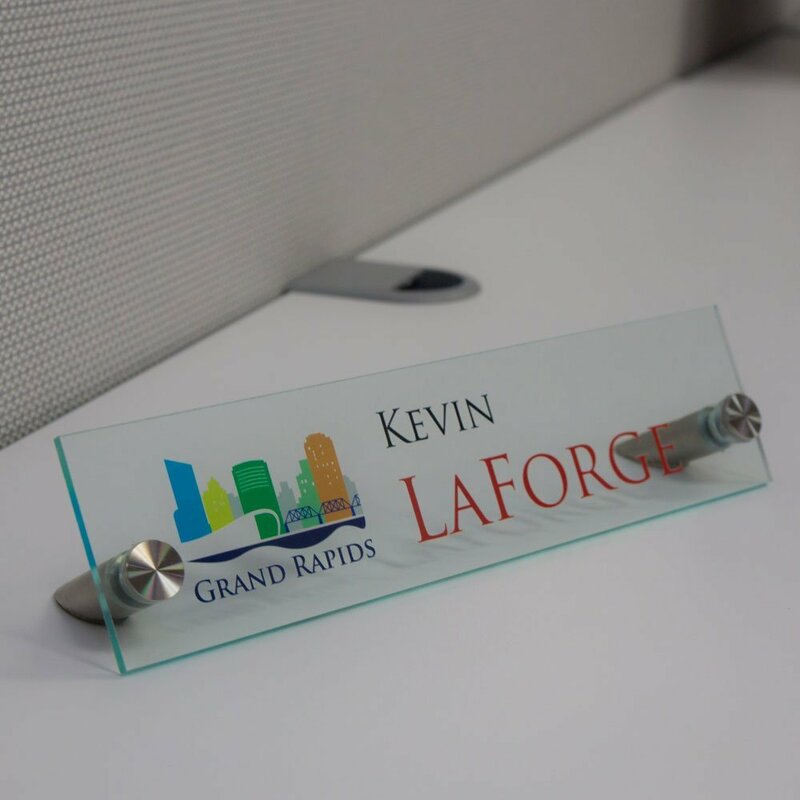 Make a statement with custom shaped nameplates in your office. Choose from a variety of colors, shapes, and sizes. 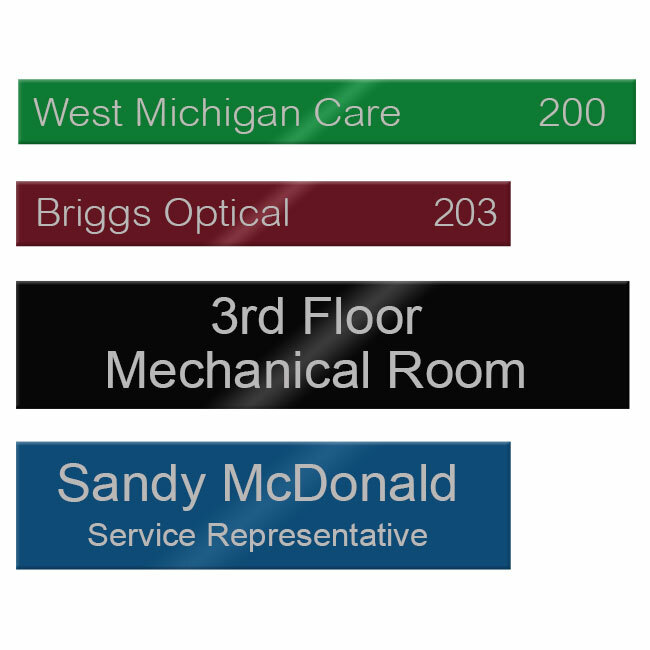 ADA compliant nameplates available. 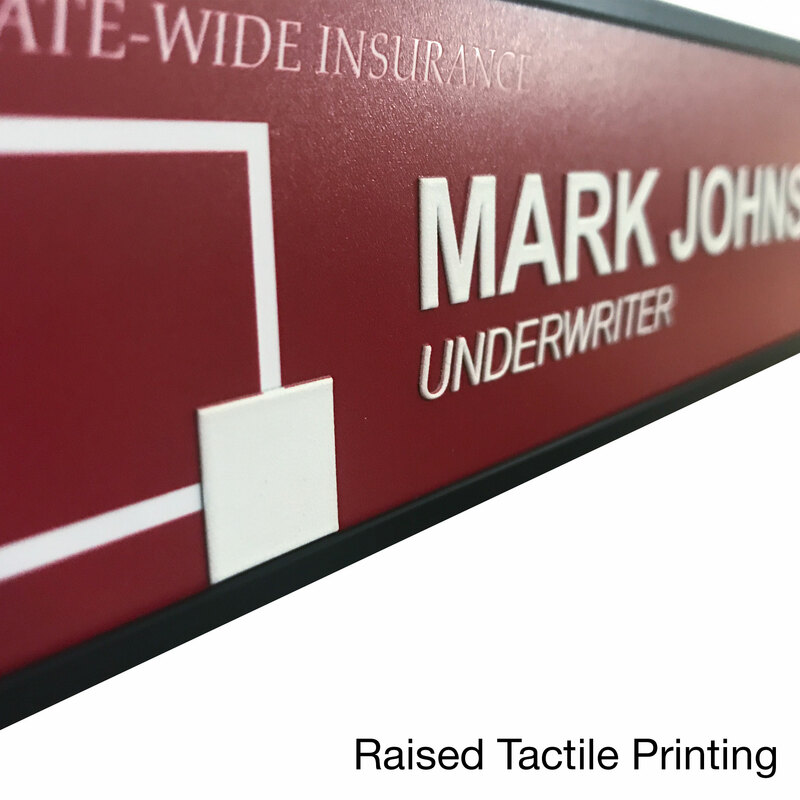 Tactile printing on metal name plates with vibrant, full-color logos. 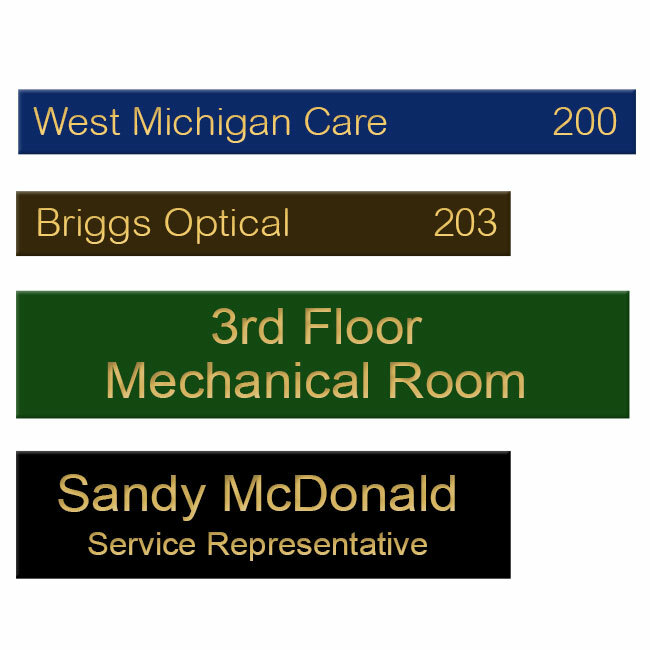 Executive brass nameplates are precision engraved on thick brass in 5 classic colors. Precision engraved to reveal the natural aluminum color. 12 vibrant colors to choose from! Full color printing on clear acrylic, with unique shapes and holders.